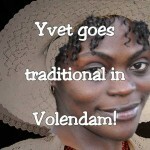 After the success of her first series: Yvet – Telling it like it is, Yvet is coming back soon to Africa Web TV. This time she discusses some taboos, visit some quintessential Dutch monuments and goes underground to look at how refugees live in Holland. This 2nd season is going to be funnier, more controversial and thought-provoking. Watch out!